All natural, FDA approved Medical Food for the dietary management of viral infections. Safe and effective way to manage the increased physiologic demands of viral infections. It is not an anti-viral drug and works through a different pathway than drugs. 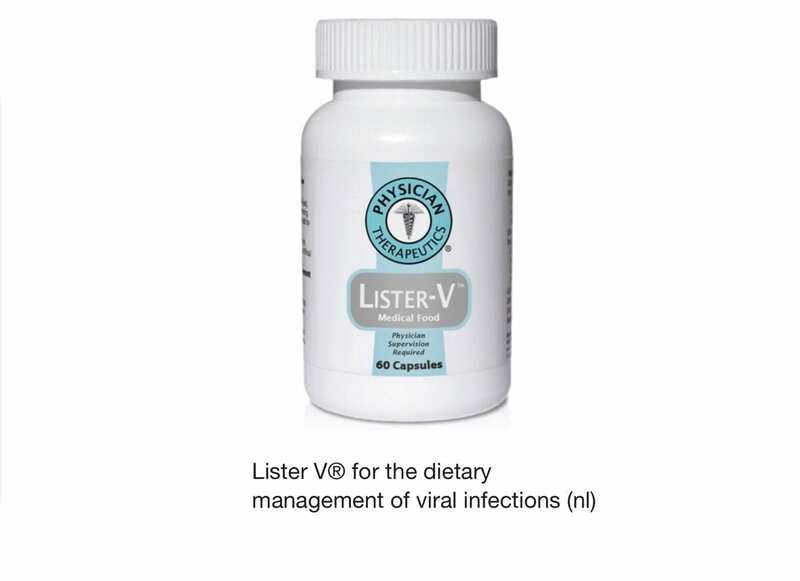 There have been no severe side effects reported with use of Lister-V. 60 capsules. Take 2 capsules 4 times daily for 7 days. Prescription required. Fax to 704-896-5809. No tax and standard shipping is included. Lister-V works through a nutritional pathway, providing your body with the amino acids and nutrients it needs to manage the increased physiologic demands of a viral infection. 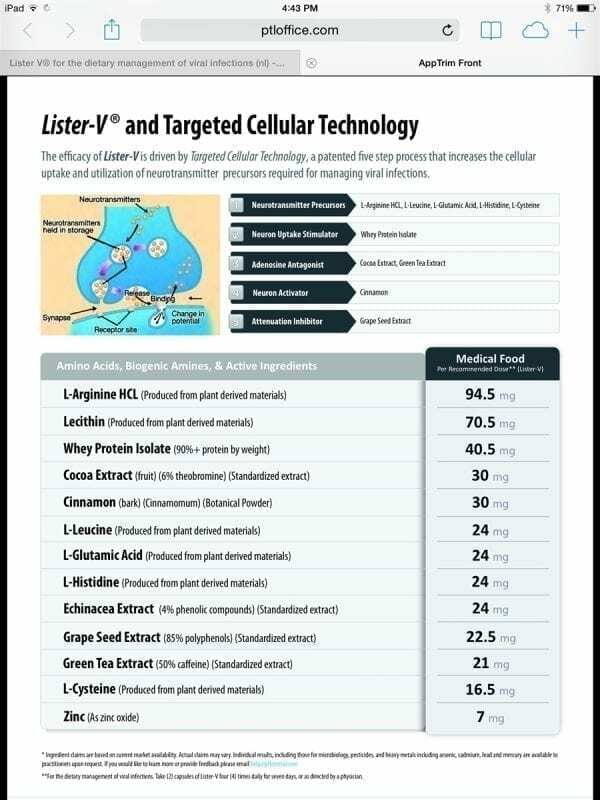 Lister-V provides a balance of neurotransmitters that are responsible for the communication between the immune system, brain and the nervous system. Addressing these increased dietary requirements is an essential part of your clinical care. Is Lister-V Right For Me? fferent pathway than drugs. 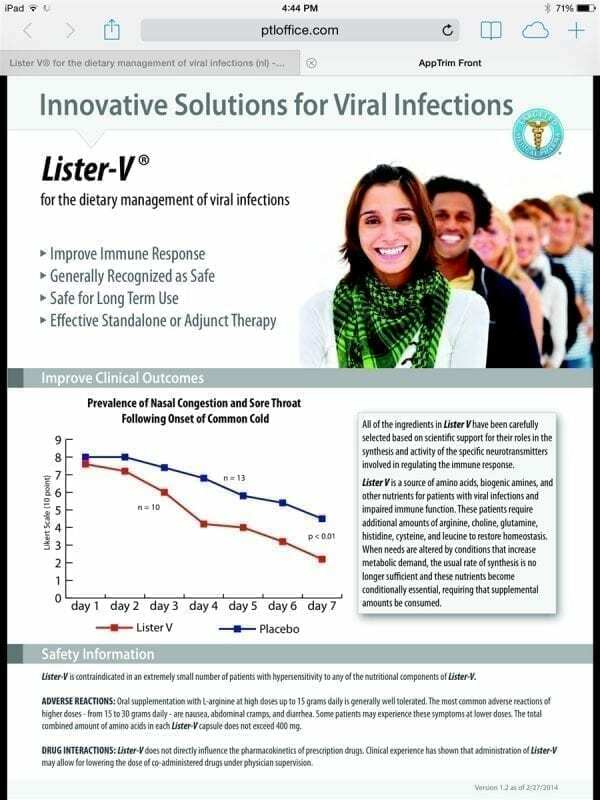 There have been no severe side effects reported with the use of Lister-V.
as such by regulation, in Volume 21 Code of Federal Regulations (CFR) Sections 182, 184, and 186. I love this product for a few reasons.